We are constantly sharing photos of James Dean in our hats, such as the one above. 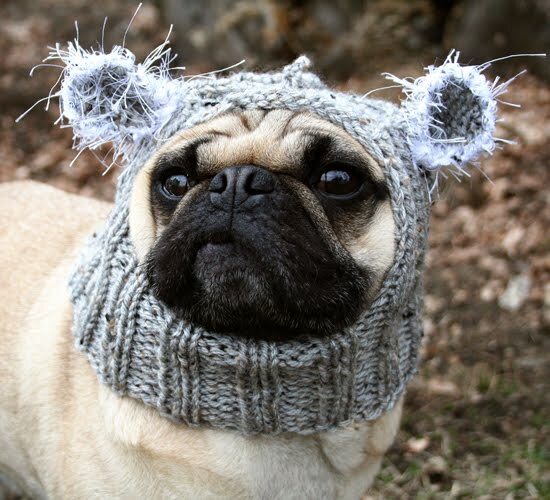 This koala hat was inspired by one of our awesome clients, Adam, and his pug, who came up with the charming idea of creating a koala hat for dogs. Thanks, Adam! Since we are always showing JD off, he thought that it would be a better idea to share photos of our friends today so that we can show you the love and sweet photos that we receive from all over the world. Some of you may find yourselves here, too! Tweedles is one of our favorite friends. 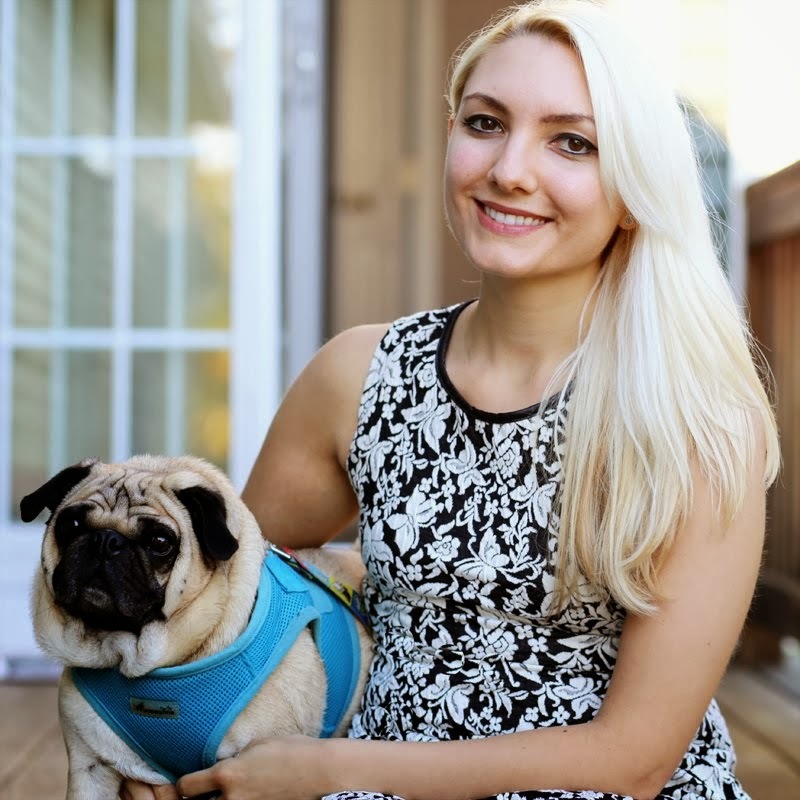 She writes a beautiful blog and is such an inspirational pug! 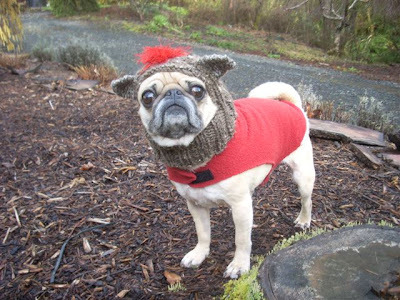 The photo of her in the Pugkin Head is the first hat that we ever made for her, and the second hat is the Sock Monkey hat that she helped us to create. Hugs to you, love-pug! How sweet is Phoebe in her custom neck warmer? Lily catches some sun in her All You Need is Love hat. We want to give Howie a big kiss when we see him in his Sock Monkey hat. Buster and Jingles are picture-perfect as they snuggle together. Bob gives his biggest smile for his photo-op! Tubby strikes a pose out in public. Ping, looking cute enough to nuzzle. Mimi relaxes at home like a little monkey. Mischa, one of the kitties who lives with our friend, Stacey, from the Fabulous Animal Rescue Project, models the hat that we made for her grandma's doggie. Olive is the Easter Bunny's fiercest competition. Percy is ready for a nap in this cozy hat. Rosie prepares to pounce her Tumbler toy. Tater is just as cute as the name implies in this University of Washington themed hat. Oh my! These pictures are so cute and funny. My little cat Mischa looks as upset as Percy and Olive. lol. Oh i see my photo among all the other cutie patooties! i am loving my hats,, and i love looking at all the others! too cute. thank you for making my hats! this is the most wonderful post! we are smiling from ear to ear! as soon as archie's little head is big enough, we will be ording him a hat too!